The Chinatown Little Italy Historic District of New York City was designated in September 2009 by the National Register of Historic Places which allows building owners and community applicants to apply for grants to support the architecture and places of historic significance. 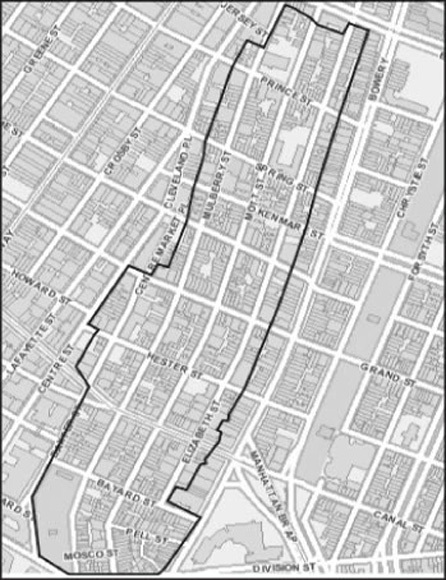 Known for its intersection of Italian and Chinese immigrant cultures, the new historic neighborhood is roughly bounded by Worth St., Lafayette St., E. Houston St. and the Bowery. Two Bridges Neighborhood Council sponsored the application. I am working with the Two Bridges organization to support the community in their quest to invite visitors and locals to the district by marking the area with wayfinding and lighting. Both neighborhoods, and the adjacent newly emerging Nolita, are filled with restaurants and night life that is not easy to find unless you know exactly where to go! 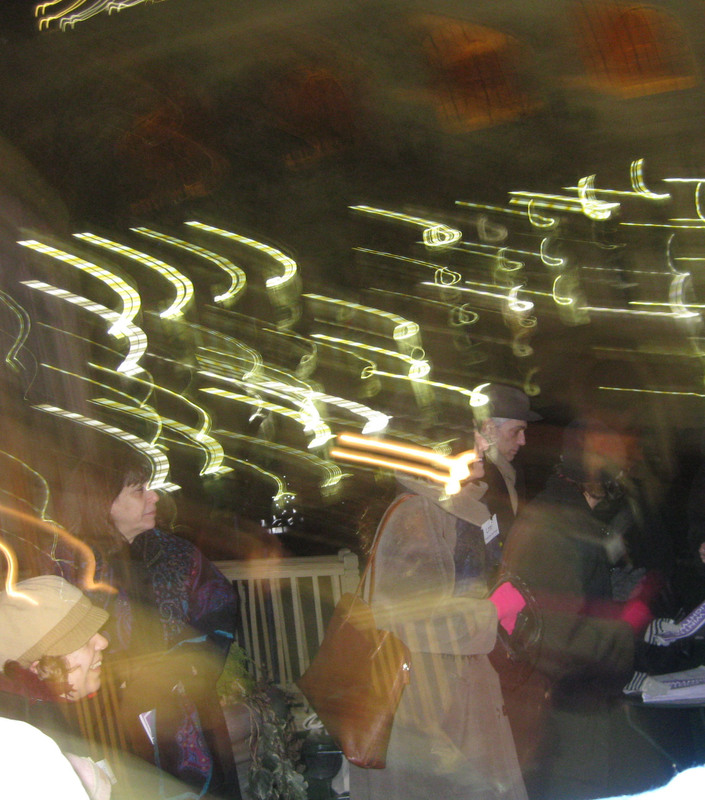 Light Projects is developing charrette and brainstorming techniques so that community members are enabled to focus on the after-dark experience of their districts and neighborhoods. 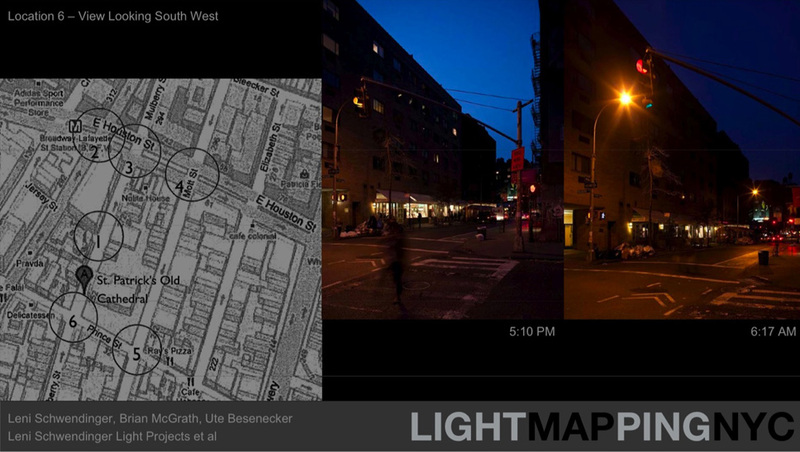 This workshop technique translates into a lighting master plan, lighting strategy and/or lighting guidelines. The workshop for the the Chinatown Little Italy Historic District lighting session which was held April 19, 2010 is an example of our participatory approach. The results will be compiled into a map and report to come later. 1. 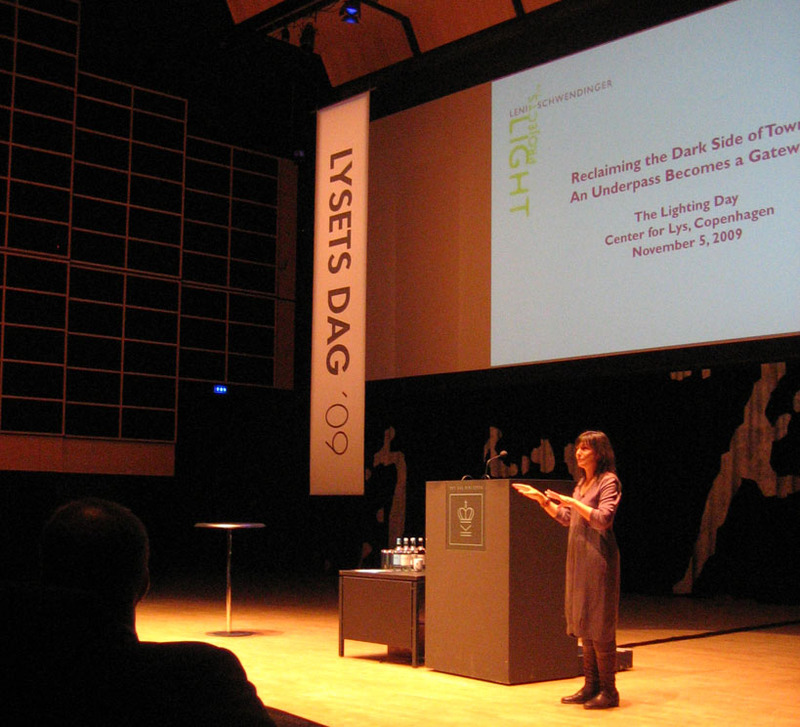 Introduction to Light Projects LTD – what is a lighting designer? 3. 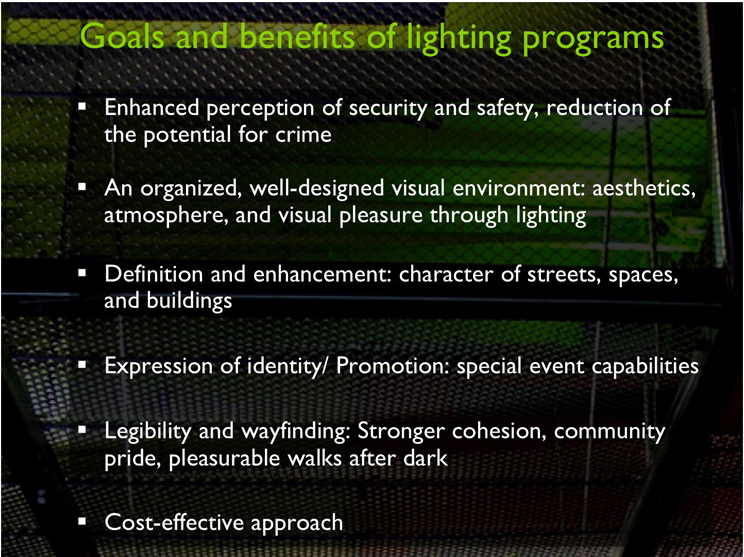 Discussion:Historic District: What are the highest priorities for lighting in our neighborhood? 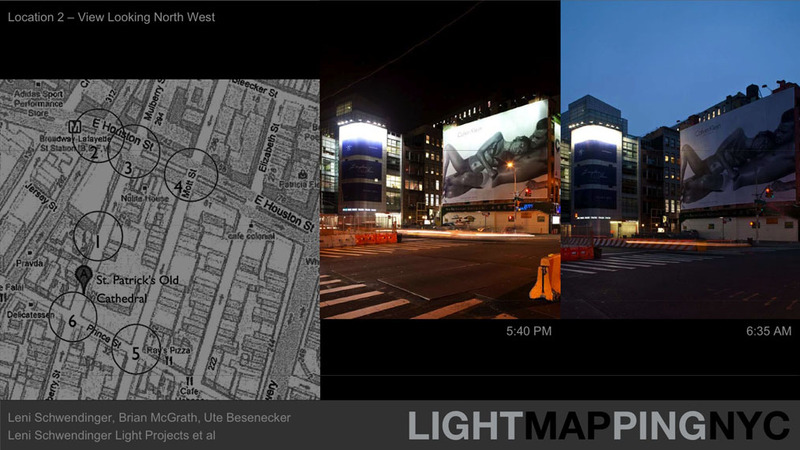 What are our lighting principles? 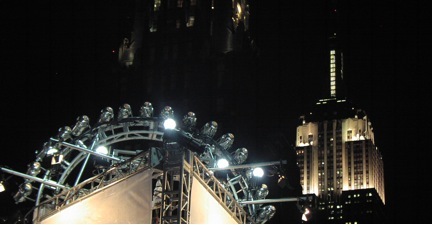 How do visitors and locals travel to destinations and what are those routes like at night? Acknowledgment and thanks to Robert Weber, Two Bridges; convener of the workshop and Wylie Stecklow; Nolita Neighborhood Association. Robert and Wylie took photographs of the charrette which appear in this article.